Kia Carens Review 2019 | What Car? 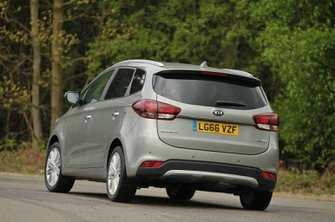 With more and more families turning to seven-seat SUVs to fulfil their space and practicality needs, MPVs such as the Kia Carens are having a hard time of it. That’s not to say there isn’t a healthy class of these capacious cars still trying to win buyers over; the Renault Grand Scenic, Vauxhall Zafira Tourer and Volkswagen Touran are all ready to give the Carens a run for its money. To tempt families away from these rivals, Kia offers plenty of choice. The Carens can be fitted with either a 1.6-litre petrol engine, or two versions of a 1.7-litre diesel, while there are four different trim levels to choose between. All Carens have seven individual seats, though, the rearmost of which fold flat into its boot floor when more boot space is required. 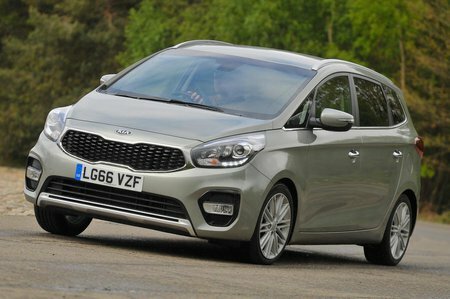 So, if you’ve decided you don’t need the high driving position of an SUV, does the Kia Carens deserve to be at the top of your MPV shopping list? Read on to find out.